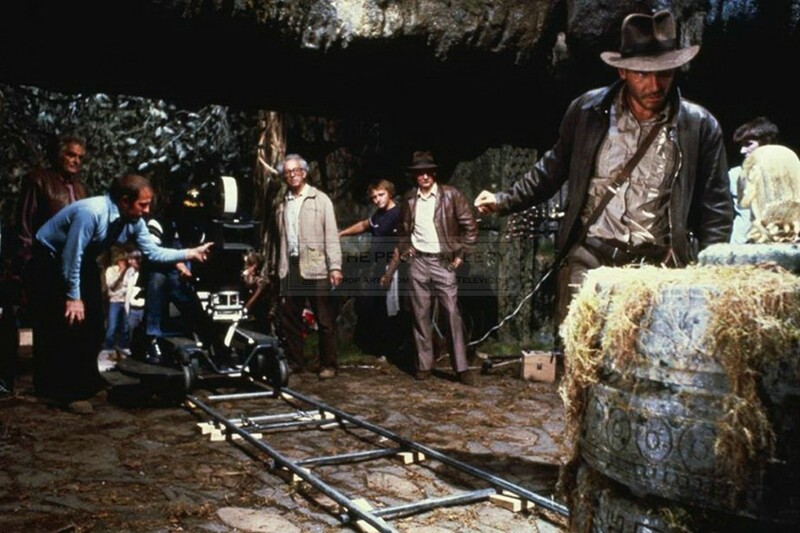 An original prop used in the production of Indiana Jones and the Raiders of the Lost Ark, the first instalment in the popular Indy franchise starring Harrison Ford. 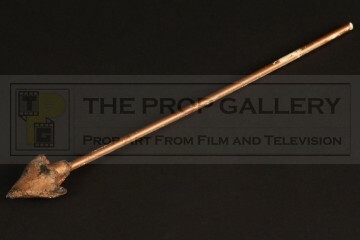 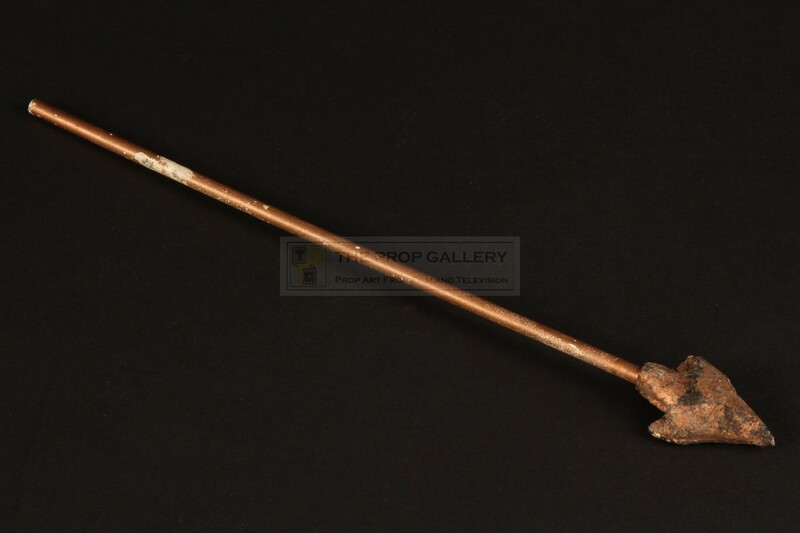 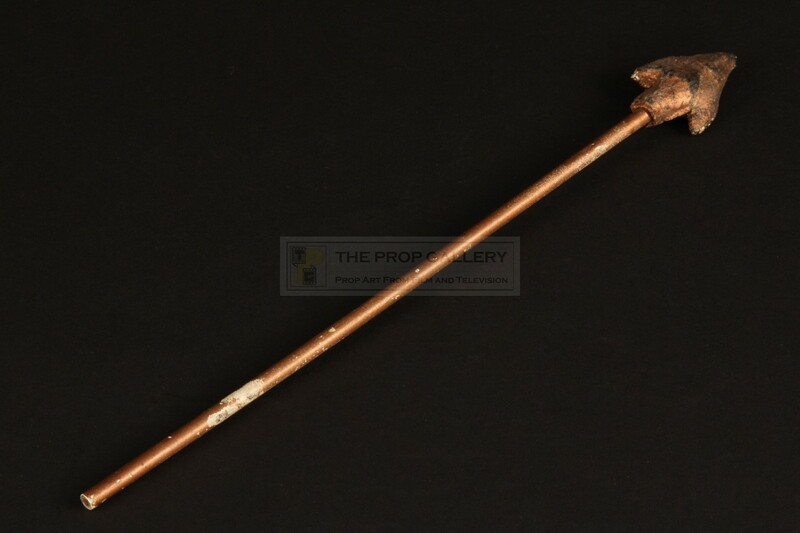 This is one of the original darts used in the Peruvian temple set during the iconic opening sequence where we see Indiana Jones (Harrison Ford) retrieve the golden idol. 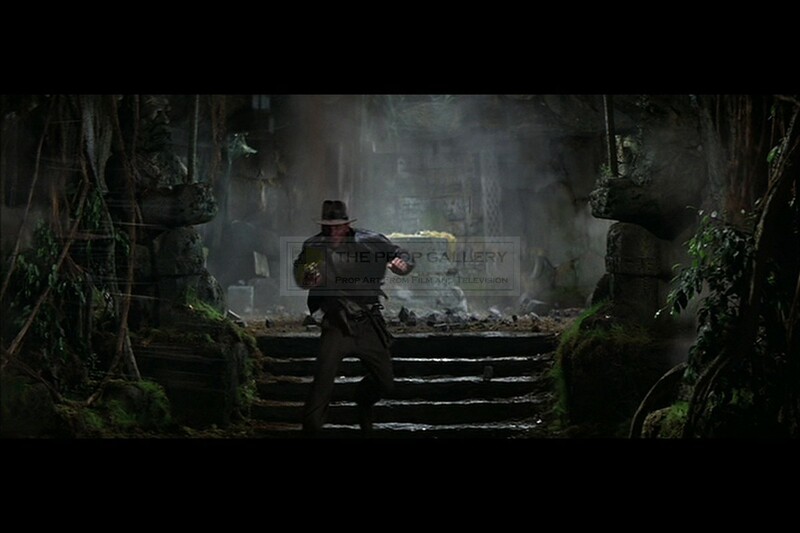 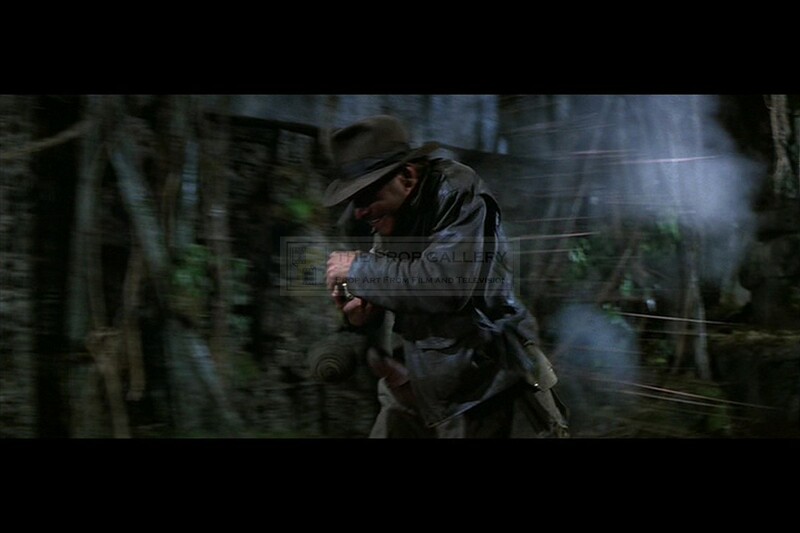 Filmed on Stage 4 at Elstree Studios the darts seen firing from the wall as Indy makes his escape were achieved practically by mechanical effects supervisor Kit West who would go on to win an Academy Award for his contribution to the picture. 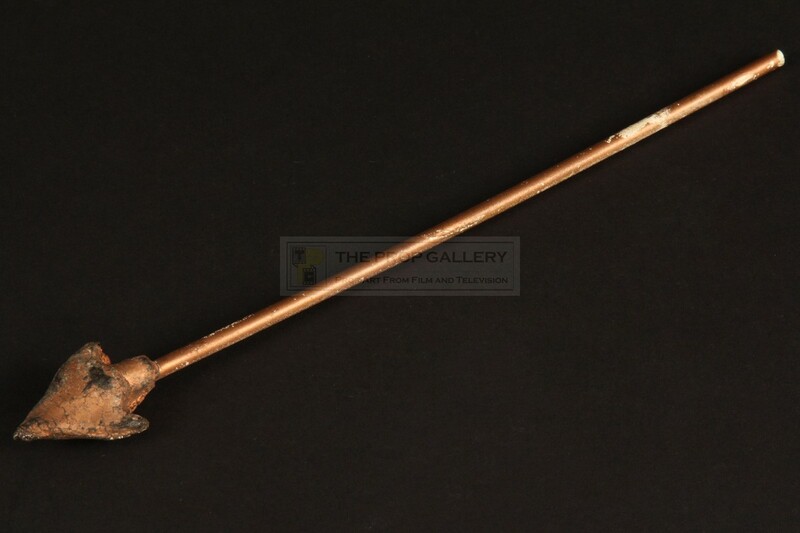 The dart is constructed hollow plastic tubing with a rubber end for safety and is finished in a metallic gold paint. 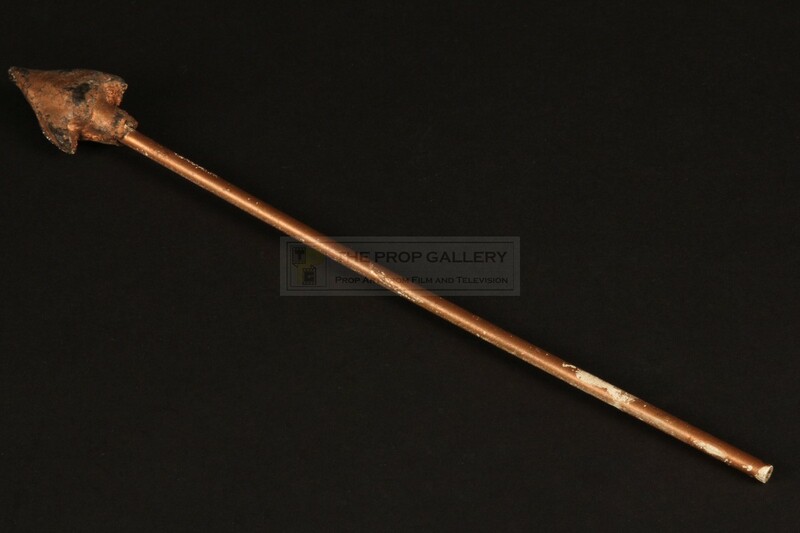 The arrow measures approximately 9.5" long and remains in excellent production used vintage condition with some minor paint wear and hardening to the rubber, generally fine. 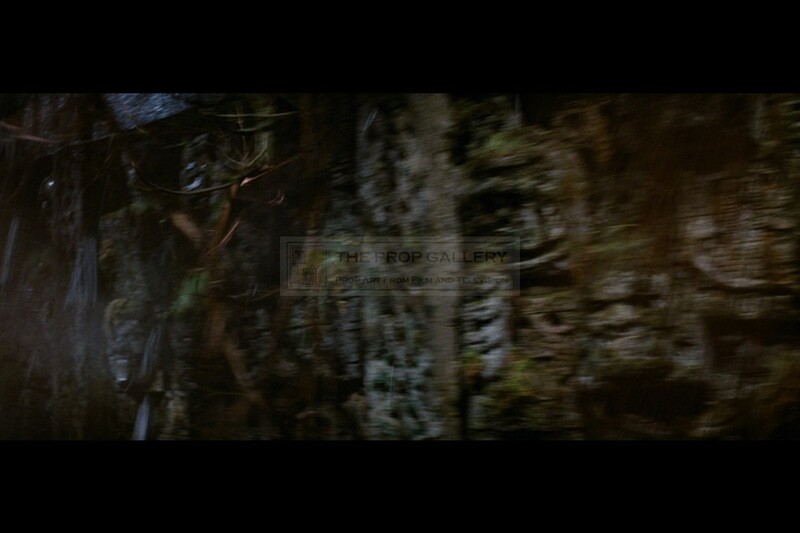 An extremely rare artefact from the first instalment in this classic franchise used in one of the most iconic opening scenes in cinematic history.